Disney said Thursday its upcoming Netflix rival will be called Disney+ and will launch in late 2019. Disney+ is one of several efforts from the media giant to compete with Netflix and other streaming services in the direct-to-consumer, internet-delivered video market, bypassing traditional distributors that currently provide billions of dollars in revenue to the company. The new service will carry content from Disney's stable of brand names including Marvel, Star Wars, National Geographic and Pixar, and will be a complement to another online Disney offering — ESPN+, which has 1 million subscribers. Disney CEO Bob Iger, speaking on the company's fourth-quarter earnings call, also outlined plans for streaming service Hulu. Iger said Disney is aiming to win new subscribers by investing in more original programming and taking Hulu into new international markets. Disney co-owns Hulu with 21st Century Fox, AT&T and Comcast, which owns NBCUniversal, the parent company of NBC News. But Disney's $71.3 billion acquisition of Fox, which could gain final government approval in the next few months, will give Disney a 60 percent stake in the streaming video company, allowing it to have greater control of Hulu's future. "We think there's an opportunity to increase investment in Hulu, notably on the programming side with this acquisition comes not only some great [intellectual property] but some excellent talent particularly on the TV side," Iger said on the call. Iger said the service in some cases was attracting audiences 20 years younger than traditional TV and described the advertising opportunity as "underappreciated." Hulu streams broadcast and cable TV shows on demand for $5.99 per month and also offers a "Hulu with Live TV" bundle of live channels for $39.99 per month. Iger noted there maybe an opportunity to raise prices for the service in the future. Hulu is expected to play a large part in Disney's plan to be an aggressive player in the direct-to-consumer TV market currently dominated by Netflix and Amazon. The company has 20 million subscribers, according to its last update in May, as well as 1 million subscribers to its tiered live TV offering. That's far behind Netflix, which recently said it expected to have 146 million subscribers by the end of the year. 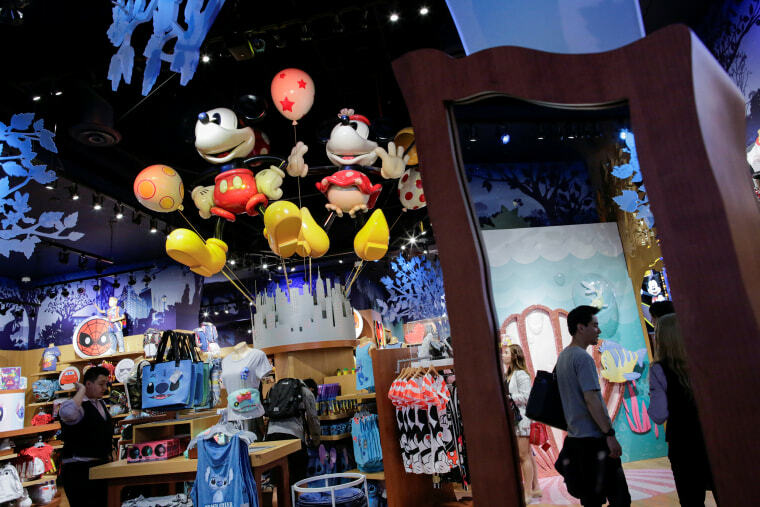 Disney said it would hold an investor day in April to share more details of its direct-to-consumer plans with Wall Street.